As a brand, Joe & The Juice represent all things fresh, dynamic, and lifestyle focused. They worked with Whalar to produce an experiential influencer campaign that resonated with their core values. Joe & The Juice's ethos is constantly supported by the visual. 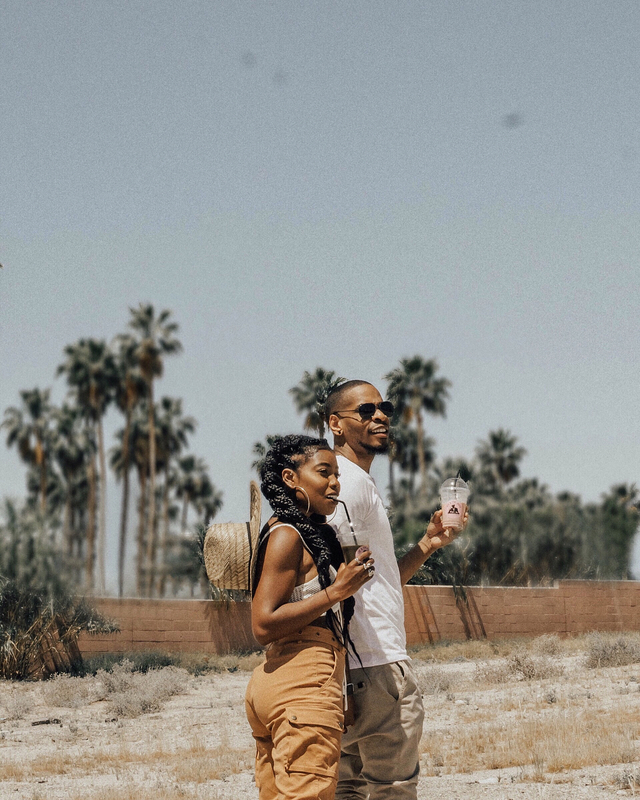 For our creative community, this gave them the inspiration they need to provide their best work, with Coachella serving as an ideal canvas to showcase their content. An energetic approach to their image resulted in a clear focus on authenticity. The unrestricted brief allowed our creators to add colour to their independent festival experience. Of course, strengthening the campaign’s presence at Coachella was also a priority - however, perhaps more so, was capturing those care-free moments that go hand-in-hand with a good festival. Whether it’s Coachella, Glastonbury, or something smaller – most of us will have a memory of (at least) one perfect moment from a festival. It is this moment that prompted Joechella, and our desire to help capture it. Speaking to influencers such as Gregory Velvet (@gregoryvelvet), who's content blended perfectly with J&TJ’s vibe and it was never in doubt he’d deliver for this collaboration. After we reached out, Gregory expressed how open briefs provide an ideal environment for creative work. Much of your content is focused on distilling that free-spirited nature that brands love to work with. What would you say brands could do to encourage content creator’s originality? I think it's important to allow content creators to create. Creative freedom allows me to really create organic content that doesn't come across staged or forced. It's always important to align with the brand's vision so when brands provide mood boards it really helps. I also love it when brands point out specific posts from my feed that they love so I can get an idea of what attracted them to my creative style. Cochella. How was it? Any advice for a newbie? Coachella was epic! But how could it have been anything less with Beyoncé performing??? The best advice I can give is to get tickets and accommodations early, stay hydrated (Joe and The Juice definitely helped with this one), and just let go and have fun. It's a big party with great people and music. Allow yourself to escape and just go with the flow. Finally, how was the juice? AH-MAZING! There is nothing like a fresh juice pick-me-up in the desert. I'm a bit of a health nut so having healthy fresh options like Joe and The Juice is far out! 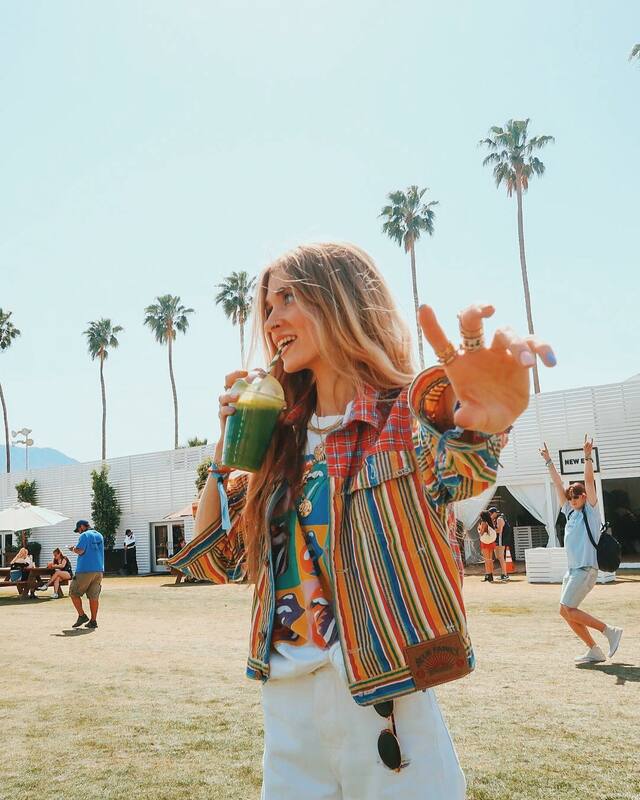 Armed with the flourishing freedom of expression found in Coachella - combined with a fresh, healthy product that caters directly to their audience - the collaboration continued to develop. 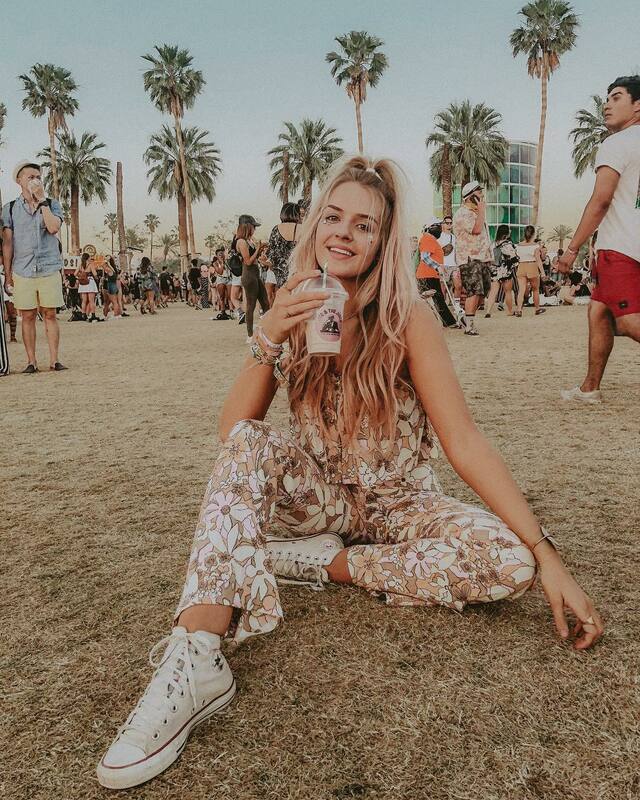 Currently only a select group of influencers have directly been involved within the Joechella campaign; however, as always, traction is consistently found within authenticity and personality. Whalar’s aiding of this liberation was highlighted through the current rate of engagements, which stands at 48, 300. Joe & The Juices’s ties to music have been prevalent since day-one. All of their stores play mix-tapes that are often unique to that area, and chosen exclusively by their staff. It is this vibe of cultural expression that is entrenched within each carefully selected juice or coffee. For creators like Olivia Frost (@oliviabynature), delight was taken in the fluidity of this campaign. Specifically, she echoes the importance of marketing a culture, rather than being tied to a physical brief. 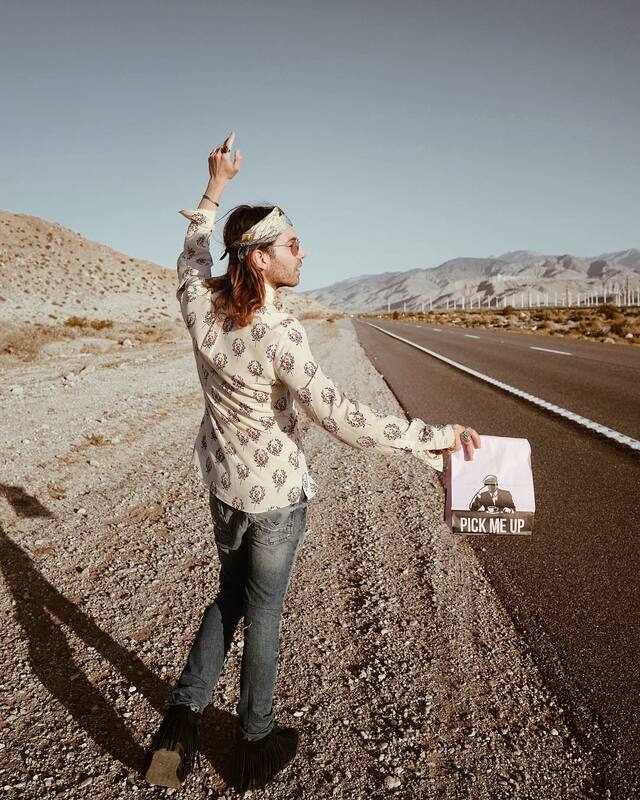 Firstly, Coachella. How was it? Well firstly only one word is needed; Amazing. But as for describing it, all that comes to mind was how next level, totally extra! These are the only words I can use to describe it. It was like nothing else I have experienced in my life, I mean when else do you get to party with Kaia Gerber? And half the Victoria Secrets crew? And then top the evening of by watching the Queen that is Beyonce perform live? The content you produced was 100% in keeping with your feed. When working on a campaign, how can brands continue to fuel, rather than stifle, creators individuality? What are the ingredients you look for when creating a festival image? Fun, authentic and natural. Always natural. Don’t try to hard, just have fun. Beyonce aside (impossible! ), we believe what sticks with our creators is the investment within their own ability to create. It is this trust within the creative community that Whalar has worked to curate and continues to produce high quality work for brands and campaigns alike.